Hi everyone!! The weather is getting colder post Diwali and all that sun tanning that we have accumulated till now needs to be taken care of. 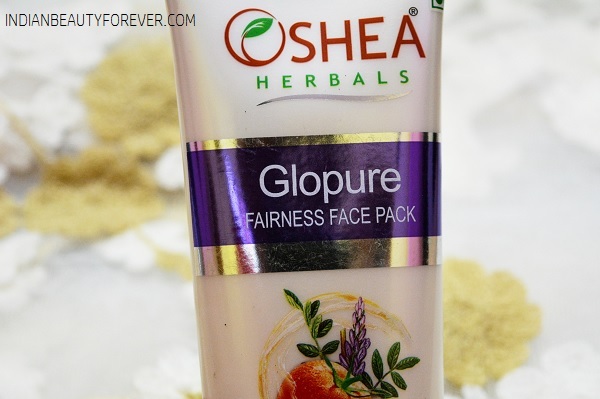 I have this new Oshea Glopure Fairness Face Pack which I am reviewing in today’s post. 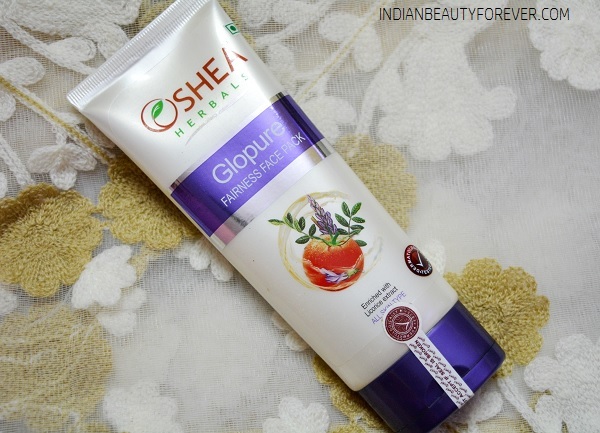 Price: Oshea Glopure Fairness Face Pack is formulated in a tube of 120 g at Rs. 195/- only and are available at all leading departmental and online stores across the country. Oshea Glopure Fairness Face Pack provides an instant fairer skin and lasting glow. The pack is ennriched with the goodness of Licorice extract as an active ingredient, this face pack enhances the skin tone and ensures a fairer skin complexion. Aloevera and papaya extract reduces the appearance of skin pigmentation, scars and skin tan and brightens the facial complexion. 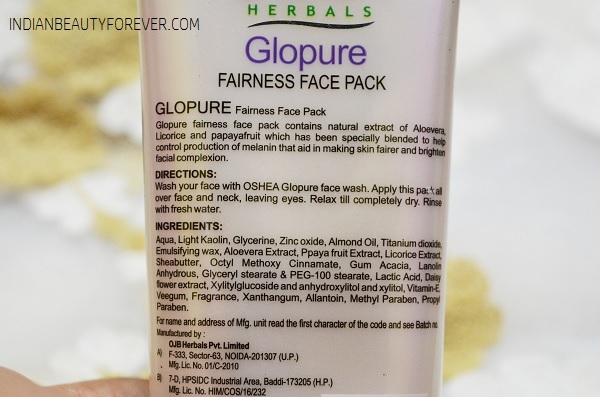 Oshea Glopure Fairness Face Pack reduces the melanin production which is the major root of skin discoloration and deeply enhances the healthy and glowing skin. For best result, wash your face with Oshea Herbals Glopure Face wash. 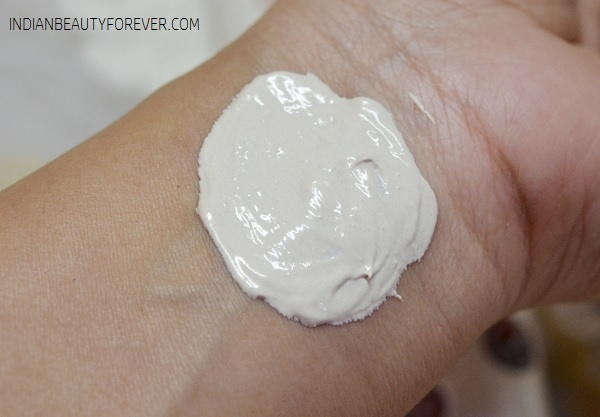 Apply Oshea Glopure Fairness Face Pack all over the skin and neck leaving eyes. Relax till it gets completely dry and wash off with fresh water and you can see the result of fairer and glowing skin. Use every alternate day for better outcome and lasting fairness. The fairness pack is packaged in a tube which is flattened and looks really nice. I liked the packaging. Oshea has their scrubs, neem face packs all in the same packaging. The packaging is good, I will say! The fairness pack is thick which is applied easily. The color is light mint- peachy which can be applied easily. I used it for the first time and liked its mild smell and the way this gets applied easily on the pack. I apply it evenly and this gets dried within 15 minutes. I will then easily rinse this off my face. After rinsing this off my face, this makes my face smoother and softer. It claims to minimize the production of melanin that aid in making skin fairer and brighten facial complexion. This fairness face pack contains natural extracts of Manjishtha, Nagkesar, Aloe Vera, Licorice, Lemon juice, Cucumber Juice. All these natural ingredients help to get rid of the sun tan and skin darkening. Licorice Extracts are known to suppress the production of melanin which causes skin darkening. Lemon Peel is helps to lighten pigmentation. Aloe Vera Gel is excellent in moisturizing and skin healing properties. Cucumber and Tomato are beneficial in lightening the skin and toning the facial skin. I like the effects post using this face pack that smoothen the skin and lightens the skin complexion. The effects though do not last longer but it is okay!